A truly superb quality presentation that my wife and dear friend each love. Have ordered a third one for my granddaughter. This is so lovely in person(a)! I got it for my birthday and I keep it to wear out at dinner,etc. I’ve had several Stauer rings over the years and this is one of my favorites. 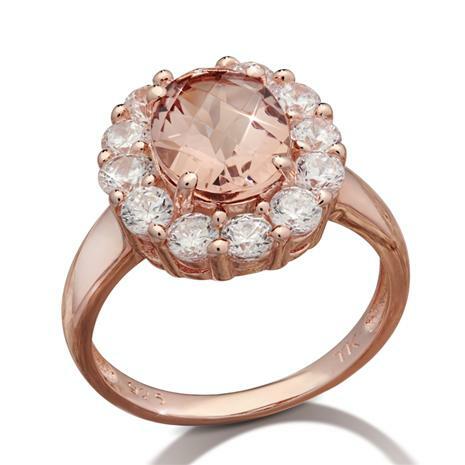 I had a great pink diamond ring set in silver ... I wish I had bought two of them. I think I’m going to have to buy myself a back up of this ! We’ve discovered a rare and exotic stone at 25,095 feet— an exotic treasure from the East called Pamirite. This sparkling golden pink stone was formed from volcanic activity on the highest peak in the Pamir Mountain range in Central Asia. For centuries this miracle of nature has been hiding in these ancient mountains that gave passage to thousands of merchants and adventurers along the Great Silk Road. Had 13th century European explorer Marco Polo known about Pamirite, his explorations would have taken a most fortunate turn. Luckily, that fortune is all ours— which means by Stauer standards— it’s all yours! Meet the Blushing Pamirite Ring. With a striking oval cut, this ring showcases three full carats of this shimmering exotic wonder. 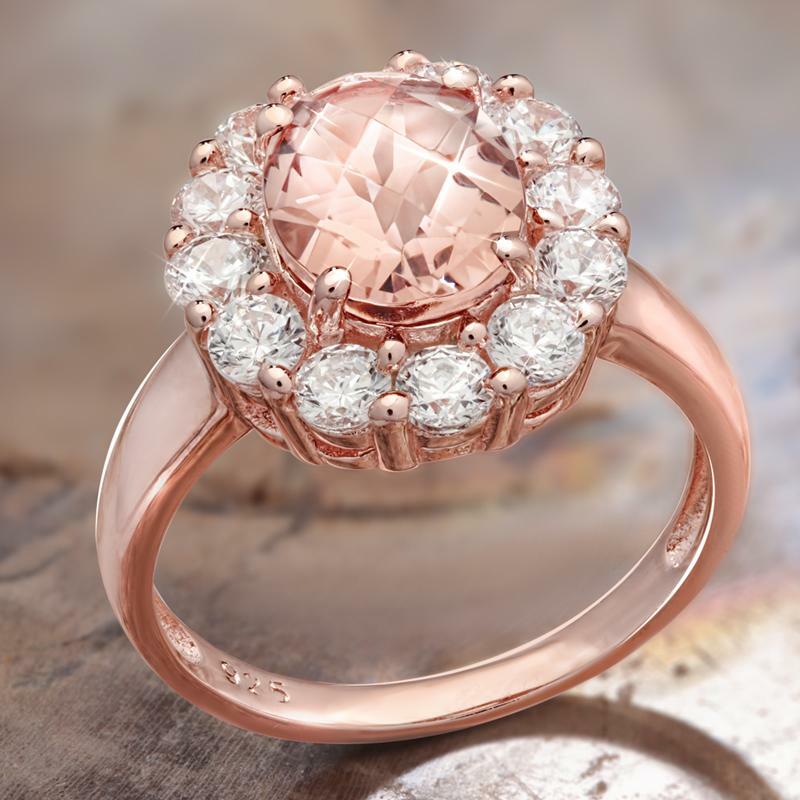 To bring out the pink, we’ve framed it with shimmering scientifically-grown DiamondAura® stones, and then set it in warm rose gold-finished sterling silver. Rare, exotic stones typically garner a high price tag in the jewelry world, but we go straight to the source and cut out the middleman. This means we can offer you a rare stone for an even rarer price.